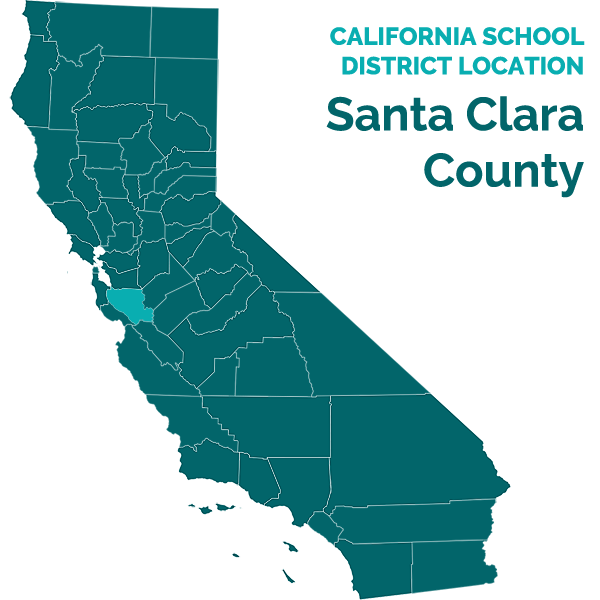 SAN JOSE UNIFIED SCHOOL DISTRICT. Administrative Law Judge Bob N. Varma, Office of Administrative Hearings, State of California, heard this bifurcated matter in San Jose, California, on June 24, 2010. Barbara A. Fielden, Attorney at Law, appeared on behalf of Student. Parents were present at the hearing. Student was not present at the hearing. Rod L. Levin, Attorney at Law, appeared on behalf of the San Jose Unified School District (District). Lynn M. Stacey, Director of Special Education for District, was also present at the hearing. The matter was continued and the record was left open for the parties to submit closing briefs by July 6, 2010. The matter was submitted for decision on July 6, 2010. The sole issue in this bifurcated hearing was whether Student was a resident of District from August 27, 2009, through the 2009-2010 school year (SY)? District requests an order that Student was not a resident of District during the relevant time period and that Student’s complaint be dismissed. At hearing, Student made a request that the records in this matter be sealed on the grounds that Father is employed in the field of law enforcement and publishing the family’s home address or personal information may jeopardize the safety of Student’s family. District did not object to the request. The evidence established that Father is employed by a local police department and is involved in the gang taskforce within his department. Parents testified that one of the homes at issue in this case has been tagged by gang members with graffiti in the past. The testimony and evidence in this matter involve repeated references to the residential addresses and telephone numbers of Parents and Grandmother. This information, if published, could place Student’s family in danger. Because the issue for determination is one of residency, the addresses and telephone numbers cannot be redacted. Accordingly, Student’s request to seal the record is granted. Should this matter be appealed, the parties are ordered to ensure that the administrative record be filed under seal. This decision has been cleansed to ensure that OAH does not publish any of Student’s family’s addresses or telephone numbers. 2. Student has not requested or been granted an inter-district transfer. District contends that Student resides with his parents at Parents’ house, which is located outside the jurisdictional boundaries of District. While Student has been enrolled in District and attended District’s school since the 2006-2007 SY, District asserts that Parents have not resided within its geographic boundaries. District maintains that because Parents were not residents of District during the 2009-2010 SY, it was not the local educational agency responsible for offering or providing Student with a free appropriate public education (FAPE). Therefore, District requests that Student’s complaint be dismissed. Student contends that while his Parents own the house outside of District’s geographic boundaries, Mother has always resided at Grandmother’s house with Student. Student asserts that his residency is determined based upon his Mother’s residency. Therefore, Student contends that District was the local educational agency responsible for offering and providing him a FAPE during the 2009-2010 SY and his complaint should not be dismissed. 1 The two homes at issue in this case shall be referred to as Grandmother’s house and Parents’ house. 2 “Dual residence” was a term used by Parents during the hearing and is differentiated herein with the legal definition of residence or domicile. On April 30, 2010, Student filed a complaint alleging that District denied him a FAPE during the 2009-2010 SY. While the complaint raised several claims against District, the only time period at issue was the 2009-2010 SY. On June 7, 2010, District filed a motion to bifurcate the due process hearing and requested a bifurcated hearing to determine the threshold issue of residency. Student did not oppose the motion. On June 16, 2010, OAH granted District’s motion to bifurcate the matter. On June 13, 2010, Student filed a motion to shift the burden of proof on the issue of residency. District opposed the motion. After having considered the parties’ arguments during the June 16, 2010 prehearing conference and having considered District’s written opposition, on June 21, 2010, OAH determined that District would bear the burden of proof on the issue of residency. 1. Student is a nine-year-old boy, diagnosed with Systemic Juvenile Idiopathic Arthritis. Student qualifies for special education under the category of other health impairment. 2. Parents’ house was purchased in 1999. Father has resided at Parents’ house from 1999 to the present. Therefore, Father’s residency was established to be outside the geographic boundaries of District. In this case, the issue of whether Student could establish residency within District’s geographic boundaries was dependent upon the determination of Mother’s residency. 3. Due to the nature of his work, Father can be away from his house for periods of time ranging from 24 hours to several weeks. Mother does not feel safe in Parents’ house when Father is away for extended periods of time. Mother stays at Grandmother’s house, with Student and his siblings, during these periods. Father and Mother both testified that this was Mother’s standard practice. She would live with him at Parents’ house as well as with Grandmother at Grandmother’s house. Father described Mother’s presence at Parents’ house as “random.” He testified that while Student and his two siblings may occasionally stay with Father at Parents’ house without Mother, they typically stay at the house that Mother is staying at on any particular night. 5. Mother testified that she considers Grandmother’s house and Parents’ house to be her homes. She testified that she grew up in Grandmother’s house and after moving out she always considered it to remain one of her homes. Mother stated that being at Grandmother’s house provided her with the support of Grandmother, her sister, her cousins and her grandmother, who all live near Grandmother’s house. Therefore, when Father was gone for extended periods of time, it was practical to live at Grandmother’s house. Father and Mother also testified that there were times when Father was at home, that Mother would still stay at Grandmother’s house. Mother’s testimony that she believes she has two homes was credible. However, as discussed in Legal Conclusions 3 through 7, a person may only have one legal residence at one time. 6. Parents enrolled Student into District in August 2006, prior to the start of the 2006-2007 SY. Student’s older siblings, ages 14 and 17, have attended school in District for their entire educational careers. Father testified that the 14- and 17-year-old siblings believe they have two homes. Student believes he lives at Grandmother’s house. 7. Documentary evidence supported Mother’s testimony that she lives in both houses. For example, Student’s 2006 enrollment documents include Mother’s driver’s license and Student’s birth certificate, which both have Parents’ house as the residential address on the documents. But the enrollment form and other evidence Mother provided to District, at the time of enrollment, list Grandmother’s house as the home address for Student and Mother. A doctor’s letter from November 2006 to District lists Parents’ house as the home address for Student. A September 2009 driver’s license for Mother and the title to Mother’s vehicle list Grandmother’s house as the home address for Mother. Mother’s request for documents from District in June 2009 lists the home address as Grandmother’s house, but lists the telephone number from Parents’ house as the contact number. 8. Mother stayed at Grandmother’s house because it provided her with support and a feeling of security when Father was away from Parents’ house due to his work. Mother returned to Parents’ house when Father was home. Student and his siblings had rooms, beds, clothes and toys at Parents’ house, to which they returned with Mother when Father was home. The evidence established that all three children have rooms, beds, clothing and toys at Grandmother’s house also. While she stayed at Grandmother’s house, Mother always returned to Parents’ house. The preponderance of the evidence established that Parents’ house was Mother’s legal residence for a substantial portion of the 2009-2010 SY. Mother’s intent to abandon Parents’ house and establish residency at Grandmother’s house, as discussed in Factual Finding 16, did not occur until three months before the hearing in this matter. 9. Cyndy Maijala, District principal at Booksin Elementary School, testified that approximately in December 2009, District became concerned with Student’s lack of attendance. At the beginning of December 2009, assistant principal, Cydney Eshleman, and school nurse, Nancy Newell, conducted a health-and-welfare check at Grandmother’s house. They were unable to speak with anyone at the home and, therefore, did not enter the house. However, neighbors informed them that only Grandmother resided at the home and children were present only occasionally. Ms. Maijala became concerned that Student may not be a resident of District. She found Parents’ house as a possible home listed on Mother’s driver’s license in Student’s enrollment records. Ms. Maijala conducted a health-and-welfare check at Parents’ house. 10. Ms. Maijala visited Parents’ house twice on the same day. On her first visit, during school hours, Ms. Maijala rang the doorbell and Student’s older brother answered the door. She spoke with Father, but did not ascertain who actually lived at the home. Ms. Maijala did not enter the home and could only hear a television in the background. She did not request that she be allowed to view the premises as part of her health-and-welfare check. Ms. Maijala returned in the evening and spoke to one of the neighbors. The person informed her that Student’s family lived at Parents’ house, however, the neighbor was aware of another home the family used which the neighbor thought was Grandmother’s house. 11. District’s health-and-welfare check did not establish that Mother resided at a particular home. Ms. Maijala did not enter either home. Because she did not enter the homes, she did not observe any of the telltale signs of residency, such as children’s clothing, toys, beds, Mother’s clothing or other personal effects. Accordingly, Ms. Maijala’s testimony was given little weight. 12. From May through June 2010, District utilized a private investigator, Robert Ridgeway, to conduct a residency investigation. Mr. Ridgeway is a private investigator with experience in working for and training police agencies in conducting investigations. However, this was his first school district residency investigation. 13. Mr. Ridgeway observed Parents’ house approximately 19 times and Grandmother’s house approximately 10 times. The only vehicle he saw at Grandmother’s house was Student’s sister’s vehicle. Mr. Ridgeway did not confirm who resided at Grandmother’s house. The only person he saw at Grandmother’s house was a District teacher who brought homework to the home. At Parents’ house, Mr. Ridgeway saw a woman he thought was Mother a couple of times while she took a child to and from the library. He saw Mother’s car parked at Parents’ home on several nights. However, this did not establish that Mother lived at Parents’ home because Father testified that Mother would use the office in Parents’ house to work during the night on different things, including preparing for the litigation with District, before returning to Grandmother’s house in the morning hours. Mr. Ridgeway did not speak with anyone to establish who resided at Parents’ house and Grandmother’s house. He did not enter either home and could not confirm the living arrangements at either home. His closest observation of either home was from 100 yards. Accordingly, Mr. Ridgeway’s investigation did not establish Mother’s residency outside of District and was given little weight. 14. Grandmother testified that Mother has resided at her house for approximately 80 percent of the time over the course of several years. However, for the three months prior to the hearing, she testified that Mother has lived at Grandmother’s house “full time.” Grandmother testified that Student and his two siblings have similarly resided in her house “full time” for the three months prior to the hearing. This was consistent with Mother’s testimony that Father and Mother have been “separated” for the last seven months, but Mother continued to use both houses as her homes. She testified that she had been moving out of Parents’ house and into Grandmother’s house. Mother testified that for the three months prior to the hearing, she has resided permanently at Grandmother’s house. While Father’s testimony did not exactly match Mother’s testimony, he credibly testified that Mother and Father have recently made the decision to officially separate and have informed the children of the decision. 15. Mother testified that Grandmother’s house has two bedrooms and she described the sleeping arrangement for herself, Student, his siblings and Grandmother. She testified that Student primarily sleeps on a pull-out bed in the couch in the living room. Grandmother testified that her house has three bedrooms. She described a different sleeping arrangement than Mother and stated that she did not own a couch with a pull-out bed. This testimony was conflicting and of concern. However, the conflicting testimony between Mother and Grandmother did not detract from the consistent testimony regarding the separation in Parents’ marriage and Mother’s “full time” residency at Grandmother’s house. 16. Documentary evidence corroborated the testimony establishing that Mother recently established permanent residency at Grandmother’s house. Mother’s voter registration for the June 8, 2010 elections has Grandmother’s house as Mother’s address. Student submitted several envelopes from utility bills and bank statements for Mother with Grandmother’s house address as Mother’s address. Student also submitted several doctor’s appointment slips and summary slips showing Grandmother’s house as his address. The envelopes and doctor’s slips are all dated within the three months prior to the hearing. While Mother may have believed in the past that she has two homes, the testimony and evidence established that in the three months prior to the hearing, Mother’s intent was to reside only at Grandmother’s house. Mother, Father and Grandmother did not provide a specific date on which Mother moved “full time” into Grandmother’s house for purposes of residency. Accordingly, Grandmother’s testimony is given its plain meaning and Mother’s residency is established at Grandmother’s house, within the geographic boundaries of District, from March 24, 2010, onwards. 17. District’s 2009-2010 SY began on August 17, 2009, and ended on June 3, 2010. From March 24, 2010, to June 3, 2010, Mother resided with the geographic boundaries of District with respect to the 2009-2010 SY. Accordingly, District was the school district of residence for Student from March 24, 2010, onwards, and Student was a resident of the school district where Parents’ home is located before that date. 1. In an administrative proceeding, the burden of proof is ordinarily on the party requesting the hearing. (Schaffer v. Weast (2005) 546 U.S. 49, 56-62 [126 S.Ct. 528, 163 L.Ed.2d 387].) Student requested the hearing and, therefore, Student has the burden of proof related to the issues of FAPE. However, with regard to the residency issue, which arose from an affirmative defense raised by District, District bears the burden of proof. (a) It is the place where one remains when not called elsewhere for labor or other special or temporary purpose, and to which he or she returns in seasons of repose. (b) There can only be one residence. (c) A residence cannot be lost until another is gained. (f) The residence can be changed only by the union of act and intent. 4. Case law, developed over many years, emphasizes intent as a crucial factor in the legal definition of residency. Union School Dist. v. Smith, supra, 15 F.3d at p. 1525, is instructive on the issue of intent. There, the parents, who were residents of the city of San Jose, placed their child at a non-public school in Los Angeles and resided in Los Angeles while he attended school. The school district argued that the child “resided” in Los Angeles during the week while attending a school there and, therefore, the Union School District was not responsible for the child’s education. The Ninth Circuit found otherwise. The parents were only temporarily in Los Angeles during the school week and did not intend to move there permanently as evidenced by the father’s maintenance of his medical practice in San Jose and the maintenance of parents’ permanent home there. The parents’ intent, therefore, was to remain residents of San Jose and their actions supported that intent. In order to affect a change of residence, there must be a concurrence in the act of abandonment of one residence with the intent to establish a new residence elsewhere. It is mainly a question of intent, which may be shown by the testimony of the parties, considered in connection with the surrounding circumstances, plus corroboration when essential. 8. The evidence established that Father has resided at Parents’ house at all relevant times. Based upon Student’s needs and Father’s work schedule, the evidence also established that Mother is the primary care giver. Accordingly, Student’s residence turns upon the determination of Mother’s residency status. 9. Based upon Factual Finding 5, the evidence established that Mother utilizes the support of Grandmother and other family members, who all reside within close proximity to Grandmother’s house. Based upon Factual Findings 4 through 7, throughout the course of Parents’ marriage, since 1992, up to three months before the hearing, Mother has believed as if she has two homes, Grandmother’s house and Parents’ house. 10. However, as discussed in Legal Conclusions 3 through 6, a person cannot legally have two simultaneous residences. A person may own multiple properties such as a second home or a vacation home. But, a person may only have one legal residence at a time. Therefore, Mother’s subjective belief of having two residences did not establish her residency within District’s geographic boundaries for the entire 2009-2010 SY. The evidence established that she did not intend to abandon Parents’ house until her recent separation from Father. 11. Based upon Factual Finding 14, the evidence established that Parents have recently decided to terminate their marriage. Mother and Grandmother credibly testified that for the three months prior to the hearing, Mother resided at Grandmother’s house “full time.” As set forth in Factual Finding 16, the documentary evidence corroborated the testimony that Mother has established permanent residence at Grandmother’s house. Therefore, the testimony and evidence considered together establish that Mother’s intent to reside solely at Grandmother’s house began three months prior to the hearing. 12. As set forth in Factual Finding 16, Student did not provide a specific date of when Mother was deemed to be living at Grandmother’s house “full time.” Accordingly, Grandmother’s testimony is given its plain meaning and Grandmother’s house is deemed Mother’s legal residence from March 24, 2010, onwards. Accordingly, from March 24, 2010, onwards, District is the local educational agency responsible for offering and providing Student a FAPE. 1. Mother is determined to be a resident within District’s geographic boundaries from March 24, 2010, onwards. District is the local educational agency responsible for offering and providing Student a FAPE from March 24, 2010, onwards. 2. Student’s complaint is accordingly limited to claims arising after March 24, 2010. 3. The parties shall participate in a prehearing conference on August 16, 2010, at 1:30 p.m. to determine the issues for the due process hearing. The continued due process hearing in this matter shall be heard on August 23 through 27, 2010. Education Code section 56507, subdivision (d), requires that the hearing decision indicate the extent to which each party has prevailed on each issue heard and decided. District substantially prevailed on the only issue decided in this bifurcated hearing. Student prevailed in part.